Posted on Friday, April 3rd, 2015 at 6:18 am. BOXING‬ HISTORY: April 2, 1943 Beau Jack W 10 Henry Armstrong, NYC. Beau Jack fought in a swarming style in which he used his great upper body strength and volume of punches to wear down an opponent. 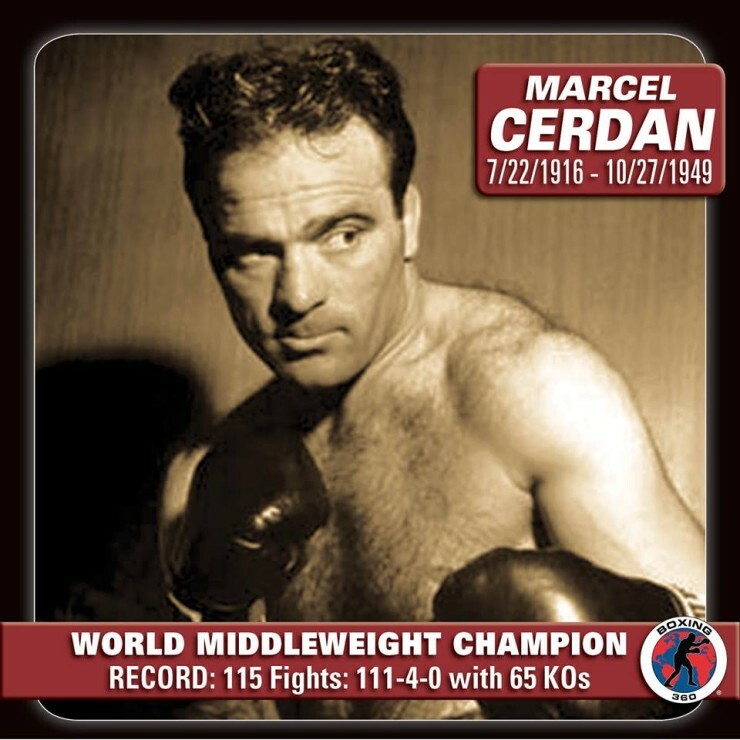 During his career, he defeated such fighters as Sammy Angott, Henry Armstrong, Johnny Bratton, Tippy Larkin, Bob Montgomery, Fritzie Zivic and Juan Zurita. As a youth, he shined shoes at the corner of Ninth and Broad streets. To make extra money, at the age of 15, Jack began fighting in “battle royals,” a sports tradition in the Jim Crow-era South that pitted five to ten black youths against each other in a no-holds-barred fight. The fighters were blindfolded, and the last man standing was the winner, receiving a typically meager purse put up by prosperous white men who put on the brutal spectacle for their own entertainment. After winning a battle royal at the Augusta National Golf Club, Jack began shining shoes there. Members of the club, including the legendary golfer Bobby Jones, befriended him and provided funds for his move to Massachusetts for formal boxing training. At the beginning of his career, when he was fighting in Georgia and South Carolina, The Augusta Chronicle listed his name as “Battling” Bo Jack, and sometimes “Bo Jack Walker.” An article in the paper later stated that The Ring Magazine began using the spelling “Beau Jack,” but the spelling “Beau Jack” actually first appeared just after Jack went north and began fighting at the Valley Arena in Holyoke, Massachusetts. Jack knocked out Tippy Larkin in three rounds on December 18, 1942 to win the NYSAC World Lightweight Championship. The fight took place at Madison Square Garden, where Jack would headline a record 21 times. Jack lost the title in his first defense, dropping a fifteen-round unanimous decision to Bob Montgomery on May 21, 1943. 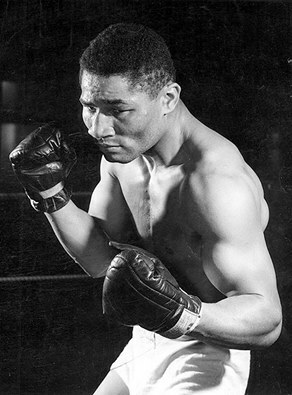 Jack regained the title from Montgomery with a fifteen-round unanimous decision on November 19, 1943. In their third meeting, which took place on March 3, 1944, Montgomery regained the title from Jack with a fifteen-round split decision. The fourth meeting between Jack and Montgomery was a non-title fight that took place on August 4, 1944 at Madison Square Garden. The bout was proclaimed “The War Bonds Fight.” Tickets were only made available to interested parties who purchased war bonds. Jack and Montgomery were enlisted men in the U.S. Army at the time of the contest, and both refused to take purses for the fight. The bout raised $35,864,900 for the World War II national bond drive. Jack won by a ten-round majority decision. Jack was named The Ring Magazine Fighter of the Year in 1944. On July 12, 1948, Jack fought Ike Williams for the Undisputed World Lightweight Championship and was stopped in six rounds. After retirement, Jack operated a drive-in barbecue stand near Augusta, tended a small farm, and refereed wrestling matches in South Carolina. He later moved to Miami, Florida. His ring earnings depleted, Jack returned to shining shoes, operating a shoeshine concession at the famous Fontainebleau Hotel. Famous entertainers such as Frank Sinatra, Sammy Davis Jr., Eddie Cantor, Milton Berle, Jerry Lewis, and Sid Caesar had their shoes shined by the former ring great. He also managed the legendary Fifth Street Gym and trained fighters, including his step-son, heavyweight Virgil McFarland. Jack was inducted into the The Ring Magazine Boxing Hall of Fame in 1972, the Georgia Sports Hall of Fame in 1979, the World Boxing Hall of Fame in 1986, and the International Boxing Hall of Fame in 1991. The Associated Press named Jack the ninth best lightweight of the 20th century in 1999. In the September 2001 issue of The Ring Magazine, Jack was named the 10th greatest lightweight of all-time.